Cindy , She was helping the victims of 911 never realizing that she was breathing toxic fumes . Today she is crippled due to CIDP. 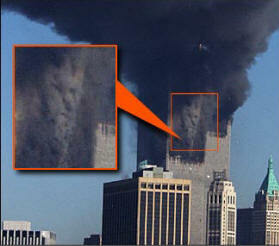 I was involved at 9-11-01 attacks in NYC. The first day - that morning before the buildings fell, I volunteered as an EMT on NYFD ambulance. I was certified in my home state of SC. 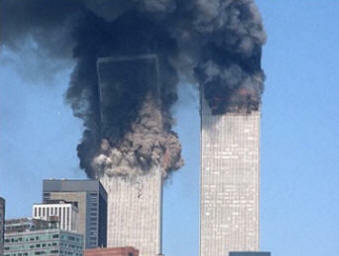 I got down to the World Trade Center towers before they fell. The second plane had just crashed when the ambulance arrived on scene. We lost the ambulance right away because of all the explosions and building pieces flighing through the air. I joined the other volunteers trying to get people out. Breathing the fumes. dust and everything else in the air began that morning. People were coming out of the buildings mortally wounded, on fire with hundreds of jumps from the buildings. When the first building fell (when most of the rescue workers were lost) we all ran in all directions. I found myself hiding behind a tomb stone in a graveyard at St. Paul's Church which is across the street from the World Trade Center. The heat in the buildings one of the Fire Chiefs told us later was over 4,000 degrees. My hiding space across the street was so hot I felt as though I was on fire and in fact I did have burn holes in my uniform. The air was so thick and hot I could not breathe. As the buildings fell, it felt to me that the sky was falling. I thought I would die. But when I survived alone the others we just went back to work doing whatever we could around the World Trade Center area. When the second building fell two fire fighters and I were able to get underneath a fire truck and they shared their air with me. I was at Ground Zero all that day and night. I do not remember if I told you that I was in NYC because I was a nun and living in the Convent house in Manhattan. Because of my experience as an EMT and my emergency room employment, I was asked to work with the Coronor's Fatality Team. I agreed. I became a Chaplain for the Coronor in the search and retrieval of the bodies (after the first day there were no 'bodies' just pieces. I stayed at Ground Zero retrieving and blessing the bodies as we found them and was to make sure the other rescue workers were handling things as best as they could. So I was present and breathing air at Ground Zero for six months (9/11/01-2/02). I had gotton to the point of having to stop. I just could not do this work anymore. I have a number of ailments causing health problems for me. Could this have impacted CIDP. I hope this gives you the information you ask about in your response.